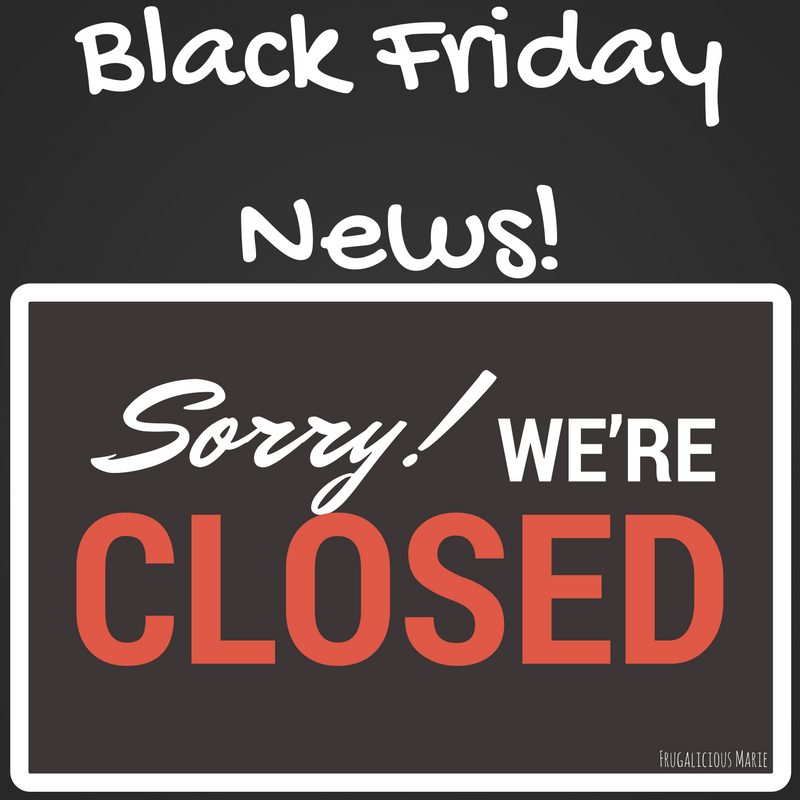 **Great Black Friday News** - 42 Stores will be closed on Thanksgiving Day! For the last few years, stores have been opening up earlier and earlier, not allowing workers to spend time with their families on Thanksgiving. This makes me super happy! Although I really dislike the true events that happened to the Indians on Thanksgiving - a discussion that should be done on another post - It has evolved into a time to share with loved ones and create new memories. It's also the start of the holiday season! These stores decided they will stay closed on Thanksgiving day. I hope the rest follow through with the same. In September, the news was released that GameStop, Home Depot, Lowes, Costco, BJ’s, Nordstrom, Jo-Ann, and Patagonia would be closed on Thanksgiving. Even though a large number of stores will be closed on Thanksgiving, many of them will have online sales. There you have it, guys! The long list of stores looks amazing. Can we add Macy's, Walmart, Target, Toys R' Us to that mix? I enjoyed staying up looking at the sale ads for Black Friday and leaving at 4:00 am to get in line. No one wants to rush dinner and head out. It's no fun!